It is such a privilege to be in town during Canada Music Week as it invites international artists from all over the world to taste something that we do not have an opportunity to taste. 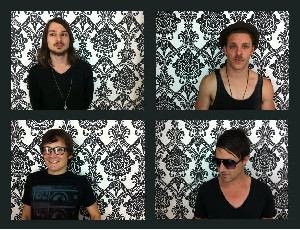 This year, we are welcoming Sydney's alternative rock band, The Jefferson. The band recently released a debut album, Safe Return To Earth, and two songs off the album, Running and Superstar are drawing attention in their native land. Their melodic swings and catchy harmonies captures a positive vibe. They are going to be playing plenty of shows during CMW across the city. So what's your excuse not to see them?